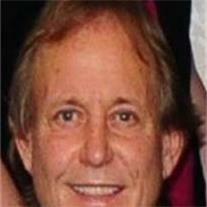 Robinson, James Daniel, 52, of Mesa, AZ passed away on June 4th, 2009, due to complications from a work-related injury. Daniel was self-employed, operating Pro-Tech Security for more than 22 years. Daniel’s greatest love was fishing, anywhere, anytime. He was known by friends and family as a quiet, gentle, and kind man. Daniel was preceded in death by his mother, Ella Mae Thomas. He is survived by his father, J Ronald Robinson, siblings Chad, Randy (Laura), Jenny Burnham (Lynn), Michael, Ted (Rene) and Susan Birch (Rod), and 22 nieces and nephews. A visitation and viewing will be held at Bunker’s Garden Chapel, 33 N. Centennial Way, Mesa, AZ 85201 on Tuesday, June 16th from 6:00pm-7:30pm. Internment will take place at the City of Mesa Cemetery. Daniel, we love you and will miss you!